I love a good Snickerdoodle. 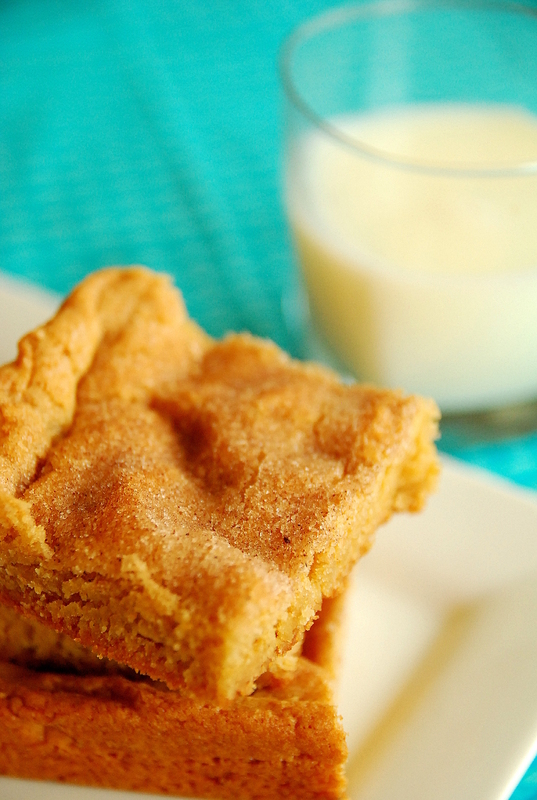 A fluffy vehicle for cinnamon sugary goodness, the perfect Snickerdoodle should be pillow soft, crackly around the edges and fairy-dusted with cinnamon sugar. Lately, I’ve become a huge fan of the bar cookie. No scooping. No rolling. No strategically-placing-two-inches-apart-on-pan. Just mix up the dough and glob it all in the pan. Press. Bake. And with three kids running around (technically, two running and one permanently attached to me), I’m in need of some easy. So I baked these up last night with a toddler on my hip. 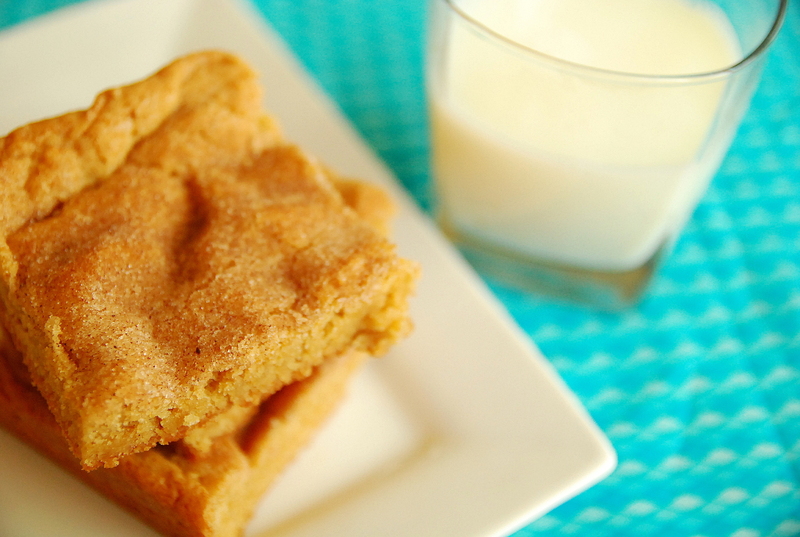 Fifteen minutes was all it took to whip up these soft, tender cookie bars. Ours may have gotten a little toddler drool in them, but I know yours will turn out perfectly. In a large mixing bowl, beat together the butter, brown sugar, eggs and vanilla until smooth. Add the flour mixture to the egg mixture and beat until well blended. Spread the batter evenly in the prepared pan. In a small bowl, combine the white sugar and cinnamon. Sprinkle the mixture evenly over the batter in the baking pan. Bake for 25 - 30 minutes or until the surface springs back when gently pressed. Remove from oven and let cool slightly on a wire rack. Adapted from My Own Sweet Thyme.